OPINION. How e.tv, literally picking sides when it comes to press groups, seems to fail to realize what message it's actually sending. Is it a, b, c, d, or, e.tv ... all of the above? It's my humble opinion as a TV critic that e.tv appears to be either too cheap, or either just don't care; or possibly don't realize it's wrong, or don't really think anybody will kick up a fuzz about it - to favour Johannesburg press covering television by having a winter programming launch for press and then deliberately choosing to ignore the Cape Town press contingent covering television by not doing the same in the Mother City. It's frankly very disappointing. In my view as a TV critic and journalist covering the medium, e.tv is clearly discriminating again press covering television by having a recent winter programming launch at Melrose Arch in Johannesburg, while choosing not to have a similar kind of press event in Cape Town, or even trying to make the same information available or giving the same opportunity to ask and put questions to e.tv by the similar - if not stronger - press group based in Cape Town. Although as many journalists and writers specifically covering television from different platforms and publications are based in Cape Town, e.tv only held one winter programming event in Johannesburg. This is not about sour grapes. It's about a broadcaster placing writers covering television - yes, me included - at a distinct disadvantage when it comes to access to information at what the broadcaster is doing, busy with, and planning to show. It's these publications' readers - and in essence e.tv's potential viewers - who are in the end served less better than what could be the case. They know less because we know less. Although most of these Cape Town journalists and writers have indeed long ago stopped caring about e.tv to be honest (they're fine with the mostly one-dimensional redux of issued schedules and press releases), I care. When I speak to journalists doing what I do and cover (and I did after e.tv held its press preview) it's clear that they won't and can't be bothered by speaking up or out. Of course I will and do. It surely can't be that difficult for e.tv to invite Cape Town press to a room in Longkloof Studios in Gardens and present the same information as in Melrose Arch, but e.tv doesn't appear to have the inclination, foresight, relational aptitude or will to want to do that. I'm a journalist covering broadcasters like e.tv. I actually want to know what they do. I'm interested. But it's up to e.tv to manage, maintain and hopefully build relationships with journalists and the press not because they're interested but because it's part of the broadcaster's job. To me its ironic that e.tv does stuff like geographical discrimination that intentionally or unintentionally actually creates the opposite effect of reaching out to press. Favouring one press grouping over another based on geographical location is a textbook example of how not to build goodwill, sustain interest and get coverage for your shows and your channel. And yet it's exactly what e.tv did in my view. Is it really, really that difficult for a big broadcaster like e.tv to do - when it does do something like a winter programming preview once in a blue moon - to do it like SABC3 regularly does and M-Net from time to time, to have press previews in two cities days after each other, or to fly relevant journalists in to the one event? Fox on TopTV just had a show preview for press in Johannesburg yesterday but told all journalists it is happening, and invited journalists nationally (I didn't go but was told beforehand and was invited) even though Fox surely has a smaller budget than a big broadcaster like e.tv. After the Johannesburg winter press preview I asked e.tv whether Cape Town press will also get a press preview or get access to the same information, actually suspecting full well that it won't happen. More than a week later since I was told some kind of information should have gone to journalists outside of Johannesburg (as if that somehow equates), I haven't heard from e.tv again on the issue. I won't be pursuing it further. And e.tv shouldn't ponder why as a broadcaster it is that the press covering it - especially from Cape Town - seems less than lukewarm writing about it. Forgive & Forget? Unlikely. Rather Step Up. Or Step Out. Chris Ottinger appointed as the new president of international TV distribution and acquisitions at MGM. Chris Ottinger has been appointed as president of international television distribution and acquisitions at MGM (TopTV 113). Chris Ottinger was previously the American studio's executive vice president for worldwide television and now takes over control of international TV distribution and acquisitions. He will now be reporting to the new Roma Khanna, president of television and digital at MGM who is starting in this position in July. Chris Ottinger has been with MGM since 2007 looking after MGM's international pay TV business. His appointment comes after Gary Marenzi quit earlier this week. ALSO READ: Gary Marenzi quits as president of worldwide television at MGM. ALSO READ: Roma Khanna appointed as new president of MGM's television and digital operations for MGM worldwide. BREAKING. Idols' ratings rock; 7th season of the M-Net reality show becomes the pay broadcaster's number one show within a month. I can reveal that it took the 7th season of Idols on M-Net only a month and exactly 4 episodes to become the number one show on M-Net, with the Idols episode of this past Sunday reaching the number one spot in viewership on the M-Net list of top 10 shows. Combined viewership for Idols (since its shown on the M-Net channel and the Mzansi Magic channel this year at the same time) isn't available, but according to the Saarf TAMS data for week 25 for all adults that were just released, Idols has now claimed the number one spot on M-Net with 392 000 viewers on Sunday at 17:30. Making this impressive is that Idols is clocking higher viewership than anything else on the channel - even primetime shows that's scheduled later when a bigger potential viewing audience is available; being only a month old when viewing habits are still being established and contestant loyalty haven't yet been formed. It bodes well for the 7th season of the show when the Tuesday night Idols Results Shows will be added in primetime at 19:30. EXCLUSIVE. SouthTel to launch a trial version of its brand-new VOD.TV video-on-demand service in July - and only I can reveal the logo! I can exclusively reveal that newcomer SouthTel plans to launch a trial version of its new video-on-demand (VOD) service called VOD.TV in July before the commercial launch in September that will give consumers in South Africa and Southern Africa instant access to thousands of movie titles, just-released DVDs and TV shows as a perpetually available ''digital video store'' and for cheaper than current pay TV subscriptions. Oh. And TV with Thinus can exclusively reveal the new orange and black VOD.TV logo today, right here. ALSO READ: Newcomer SouthTel to launch its video-on-demand service VOD:TV in September. 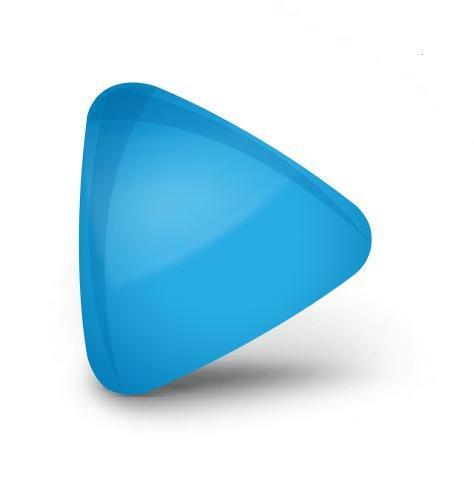 VOD.TV will use a personal digital video recorder (PVR) which will automatically record a selection of programming, transmitted in spare capacity by satellite to the PVR. Subscribers can then watch the downloaded programming at a time they desire. Since the content occupies space on the PVR hard drive, downloaded content will be deleted after a few days to make way for newer programs. Pushed TV content is ciphered on the disk drive and cannot be viewed until purchased. Once a purchase of a specific show or movie is validated, the VOD.TV decoder receives a secured authorisation within seconds. The content then becomes available for viewing. The content is not transferable and can be viewed only on the buyer's decoder. M-Net Series channel switching to a 16:9 widescreen format from July where programming allow. I'm just off the phone with them and M-Net Series (DStv 110) is telling me that the channel will be switching to a widescreen format for programming from tomorrow, 1 July, but only where it's possible. At this stage it doesn't mean that M-Net Series is becoming M-Net Series HD (it will definitely not be happening in July), although sources tell me M-Net Series has been told ''to prepare for it''. Because of this, and because DStv subscribers have been vocal and been complaining that they're getting the 16:9 widescreen format on sister channel M-Net Action (DStv 106), the decision has been made to present programming on M-Net Series in this way from July as well. Programming that is originally in the 14:3 aspect ratio will still continue to be shown on M-Net Series in this way, but (newer) programming that's received in 16:9 will be going out in this screen aspect ratio from tomorrow on the channel. BREAKING. SABC2 acquires rights to Diana Revealed: The Princess No One Knew; Lady Diana documentary set to show on 29 August at 22:00. I can exclusively break the news that SABC2 has acquired the broadcasting rights and plans to show a brand-new documentary about Lady Diana entitled Diana Revealed: The Princess No One Knew. I can reveal that SABC2 will show the feature length documentary exactly one month after what would have been Diana's 50th birthday next month, on Monday 29 August at 22:00. 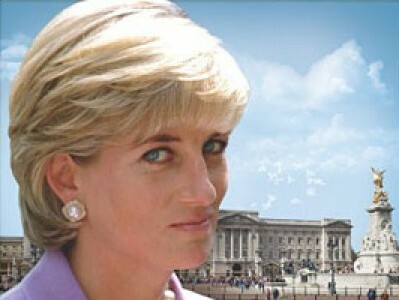 Diana Revealed: The Princess No One Knew is presented by Ann Curry and was produced by America's NBC News. The documentary is a candid biographical glimpse into the life of Diana Spencer, later the Princess of Wales from her wedding and coronation in 1981, through motherhood, her ill-fated marriage that ended in divorce, and her tragic death in that tunnel in Paris in 1997. The documentary about Diana who remains one of the most captivating personalities of our time, goes behind the tabloid sensation and glossy public image to look at Diana as a sensitive and vulnerable woman who struggled to find true happiness in life. Exactly a week ago I broke the news exclusively RIGHT HERE that M-Net has officially acquired the broadcasting rights to Steven Spielberg's highly-anticipated upcoming new TV drama Terra Nova that will be starting towards the end of the year in America and on M-Net in early 2012. 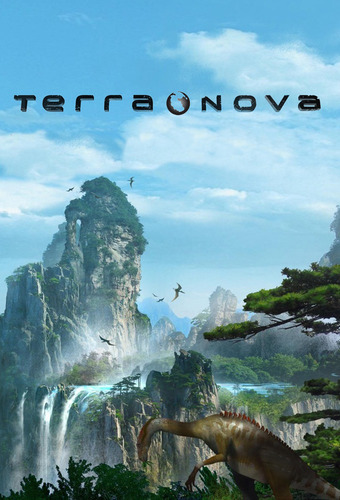 Terra Nova is a family drama that follows the Shannon family from 2149 who travels back in time 85 million years to prehistoric Earth, gets stuck there and has to build a new society amidst (dangerous) dinosaurs. Before I revealed the Terra Nova news, I asked the pay broadcaster about the specifics of snagging the biggest new (and most expensive) TV show for a follow-up story, and here is what M-Net says. How easy or difficult has it been for M-Net to secure the rights to Terra Nova, in essence, how would M-Net describe the acquisition process of this highly buzzed about title? M-Net: Terra Nova has created an incredible amount of hype with the names, locations and money Fox has incorporated into the production. M-Net is always excited to hear about these fantastic shows. As with any series, M-Net acquisitions goes through a strenuous and rigorous process to secure the rights to bring an international series to M-Net viewers. When did M-Net decide that Terra Nova was something M-Net wants and is going to pursue? M-Net is always interested in the best content any studio produces. 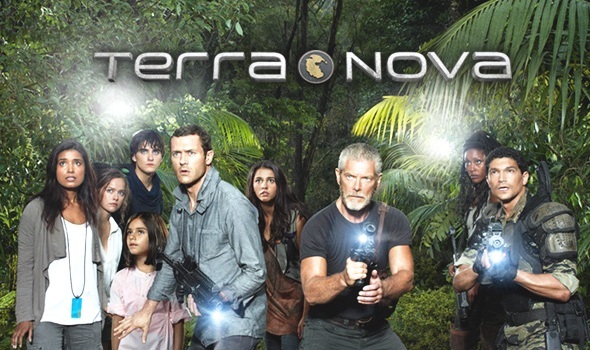 Factors such as production costs, the excellent cast and the success of Steven Spielberg's previous work on M-Net made it a simple decision to pursue Terra Nova. Terra Nova was supposed to start in May with its first 2 episodes and were then moved in America to late 2011. What can M-Net share from behind the scenes regarding what happened in the process to get the show? Fox Broadcasting Company initially planned to show episode one immediately after the American Idol season finale in May as a teaser, with the rest of the series to follow after production was complete. It was however eventually decided that the series would run without any interruption. On that note, M-Net keeps a close eye on all of our international series when it comes to starting dates, as well as any hiatus a series may go on. American audiences are used to the idea of a series going on a break half way through a season, where the South African audience much prefers watching a season uninterrupted. We take measures to pre-empt the studios continuously changing dates, to ensuring our subscribers get an uninterrupted season. Terra Nova is no exception. Why is M-Net adding this specific show to the line-up? The Magic! It isn't just a slogan. M-Net fills its slots with the biggest, freshest, most entertaining and ground breaking shows. Terra Nova, with [a production cost of ] $4 million per episode, exotic locations, a unique concept, fantastic cast and brilliant writers, directors and producers, measures highly on our ''entertainment value-meter''. What's M-Net's hopes for Terra Nova? Our hope is always that subscribers enjoy every episode. We are here to make available brilliant content. As with every series we want viewers at home to get excited about each twist and turn the story takes, to choose favourite characters, and even check our Facebook and Twitter for inside info. We want M-Netters to get a viewing experience which is personal, as well as an interactive one with other subscribers and the channel itself. BREAKING. Entertainment Tonight makes its full, daily episode available to view for free on the entertainment news magazine's website. Entertainment Tonight (SABC3, Fridays, 19:30) has started to make full, daily episodes of the entertainment news magazine's show available on its website. Not only is it the first time in its history that the 3 decades old show is making its complete day's TV episode available on the web (and completely for free); it's also the first show in this genre in America (that competes globally with the likes of E! News and Showbiz Tonight) to do so. With one click Entertainment Tonight now streams its full sameday half hour episode on its website with no commercial breaks. Viewership figures for the first episode of the show that started this past Friday in South Africa on SABC3 is not available yet. BREAKING. More power to the peopl- ... SABC board. SABC board gets sweeping powers to appoint whoever they want as executives. Sweeping superpowers has been given to the SABC board (the SABC in PR speak calls it ''latitude'') to hire at will whoever they want on executive level at the public broadcaster, immediately, and as the SABC board sees fit and according to their discretion. Expect SABC trade unions to throw a fit about this one, as well as concern that will probably be raised by public interest groups. The beleaguered public broadcaster has trimmed its ranks of top-heavy executives the past few months. This sweeping amendment however now gives the SABC board the right to extend executives' contracts, immediately re-appoint executives and to appoint any employee of the SABC whom it deems fit at its own discresion in any executive management position. In essence it means less oversight regarding executive appointments and more power to the SABC board (for instance in situations where chief financial officer Robin Nicholson were made acting group CEO but had to have his CFO contract extended). BREAKING. 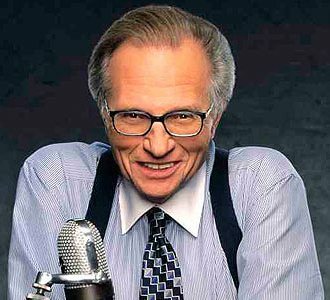 Larry King returns to CNN International for a Larry King Harry Potter TV special as Warner works its synergy magic. Larry King is returning to CNN International (DStv 401) for a once-off Larry King Harry Potter TV special that will be seen in South Africa on Monday 11 July (no South African broadcast times available yet, although I have asked) ahead of the movie release of Harry Potter and the Deathly Hallows: Part II on Friday 15 July worldwide. Larry King will interview Daniel Radcliffe, Emma Watson, Rupert Grint, Tom Felton, Helena Bonham Carter and Robbie Coltrane. 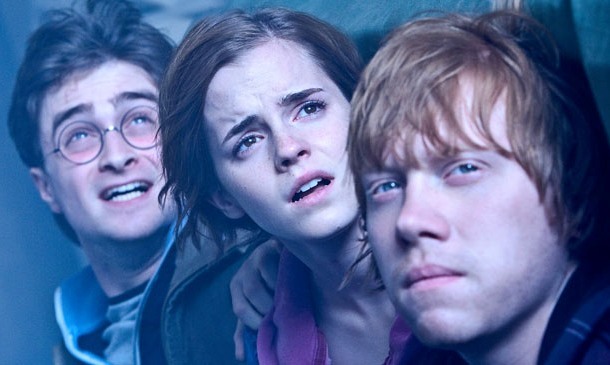 Never-before-seen footage from the upcoming final installment in the Harry Potter saga as well as a behind-the-scenes look at the making of the film will be included in the special. The Larry King Harry Potter TV special is corporate synergy at work. The film is of course distributed by Warner Bros. Pictures and CNN International is owned by Turner Broadcasting System, which is a Time Warner company. In the TV special, according to CNN, Daniel Radcliffe calls the final Harry Potter film ''a hell of a movie'' and tells Larry King that he ''wept like a child on that last day'' of filming. Wendy Walker, the longtime executive producer of Larry King Live is the executive producer of this Larry King TV special as well. Gary Marenzi quits MGM as president of worldwide television weeks before he was supposed to report to new appointment Roma Khanna. Gary Marenzi, president of worldwide television at MGM (TopTV 113) has quit a few months after MGM's former co-president, Jim Packer, who left MGM in January. Gary Marenzi was in charge of production and distribution for television and digital media for the past four years. At MGM Gary Marenzi was instrumental in the launch of the new teen drama series Teen Wolf and the sale of the show to international broadcasters. Teen Wolf will start on 1 August in South Africa on Vuzu (DStv 123) and will also later be shown on MTV in South Africa and Africa. ALSO READ: Hot werewolf show Teen Wolf on Vuzu from 1 August. Gary Marenzi decided to quit MGM just weeks before the former NBCUniversal executive Roma Khanna is set to join MGM as the new president of MGM's television group and digital from next month, handling all worldwide television operations. Gary Marenzi who was MGM's top TV executive, would have had to now report to Roma Khanna in the post-bankruptcy rebuilding of MGM's TV division. Gary Marenzi's duties will for now be handled by Chris Ottinger, the executive vice president of international television distribution. After an interim period, Emma Swain now the new permanent head of commissioning at BBC Knowledge division. Emma Swain is the new head of commissioning at BBC Knowledge (DStv 251), replacing George Entwistle. She was promoted to the position in February already on a temporary basis and is now in charge for leading BBC Knowledge's strategy regarding the commissioning of all factual programming. Emma Swain will be in charge of what programmes are commissioned by BBC Knowledge in the genres of arts, music, history, natural history, business, science and religion in this BBC division. "The BBC produces the best factual programmes in the world and it's a great privilege to be given this role, with responsibility for maintaining the high standards and quality of Knowledge output that our viewers have come to expect,'' says Emma Swain in a BBC press release. BREAKING. MultiChoice now plans to launch DStv BoxOffice in July; two months before SouthTel's VOD:TV video-on-demand service starts. MultiChoice will launch its commercially extended video-on-demand (VOD) service called DStv BoxOffice in July. MultiChoice has been testing DStv BoxOffice since last year and wants to use DStv BoxOffice to retain subscribers as well as boost revenue growth. MultiChoice plans to download some of the latest blockbuster movies to PVR's through the existing satellite network to home decoders instead of using a broadband service in exactly the same way as the new video-on-demand operator SouthTel plans to do when it launches its new VOD service offering called VOD:TV in September. ALSO READ: SouthTel to launch it's VOD:TV video-on-demand service in September in South Africa. ALSO READ: MultiChoice grows its DStv subscriber base in Africa to 4,9 million by end of March 2011; margins under pressure due to competition; rights. DStv BoxOffice will make a rolling, updated selection of movie titles available for immediate watching. Registered DStv BoxOffice users will be able to watch a movie for a window period of 48 hours, as many times over as they want. DStv BoxOffice is similar in design and function to FOXTEL Box Office and Sky Movies Box Office. MultiChoice grows its pay TV DStv subscriber base in Africa to 4,9 million by end of March 2011; margins under pressure due to competition; rights. MultiChoice that runs the DStv pay TV platform in South Africa and sub-Sahara Africa now has 4,9 million pay TV subscribers across the continent, having added almost a million more subscribers in the year that ended 31 March thanks to ''resilient'' pay TV business conditions for the company. Naspers that owns MultiChoice and reported its financials for the year ending 31 March 2011 says MultiChoice is re-investing in the pay TV business. ALSO READ: MultiChoice now plans to launch its new DStv BoxOffice in July; two months before new competitor SouthTel launched its VOD:TV video-on-demand service. MultiChoice added a total of 977 000 DStv subscribers in the year ending 31 March and MultiChoice now reach about 5 million pay TV subscribers across the African continent. Of these new 977 000 DStv subscribers, 637 000 were new subscribers in South Africa, bringing the number of DStv subscribers of MultiChoice South Africa to 3,5 million. Of the 977 000 new subscribers, 340 000 were from sub-Saharan Africa outside of South Africa, growing the total MultiChoice Africa subscriber base to 1,4 million DStv subscribers. The lower priced DStv Compact (South Africa) and DStv Family (Africa) subscriber base now reached a combined 602 000 households. This lower-priced DStv Compact bouquet represents 59% of the growth. Television advertising revenue also rebounded and grew by 32%. There was however rising costs in MultiChoice's pay TV business related to buying additional satellite capacity, the growing subscriber base, increasing decoder subsidies to make pay TV uptake cheaper for new subscribers, the costs of acquiring sports rights internationally, and increased competitive pressures from new competition like On Digital Media's (ODM) TopTV in South Africa as well as pay TV operators elsewhere across the continent. MultiChoice's revenue grew to R21 billion (19%) but margins were under pressure. It's especially the rising costs of sports rights - a driver of new subscriber uptake and a factor that combats subscriber churn that MultiChoice is conerned about and which is likely to affect its profits in the future. The ''growth-boosting event'' of the 2010 Fifa Soccer World Cup that South Africa hosted and was a major driving force of MultiChoice's pay TV revenues will not quickly be repeated. ''We had a really nice year with the World Cup, we've never been so buoyant in growth, close on a million new subscribers,'' says Koos Bekker, Naspers CEO. ''Competition [in the pay TV industry] is expected to intensify across the continent and the regulatory environment remains uncertain,'' says Naspers in its provisional fianncial report. BREAKING. SABC and trade unions agree to a one year, 8,07% salary increase after a protracted negotiation process. The South African Broadcasting Corporation (SABC) has reached a one year agreement with the public broadcaster's three biggest trade unions - Bemawu, CWU and Mwasa - for a 8,07% salary increase backdated to April this year. Trade unions took a much tougher stance to negotiate a better deal for SABC personnel than ever before in the past that led to an impasse in the negotiations last month. Possible strike action was however the last thing the SABC top management and new SABC board - currently implementing and rolling out a painful turnaround strategy for the beleaguered national broadcaster - could ironically afford. The SABC says that the salary and additional increases like an increase in the housing allowance will hopefully ''boost employee morale'', calling the negotiations after the deadlocked wage-negotiations ''amicable''. ''The SABC board and management remain committed to providing a conducive environment, which will continue to retain and attract the best talent in the broadcasting industry,'' says the SABC in a just-issued press statement. BREAKING. BBC Worldwide Channels to produce a local South African version of Come Dine With Me for BBC Entertainment. I can exclusively break the news that BBC Worldwide Channels and BBC Entertainment (DStv 120) will announce later today an increased investment in local South African programming with the first local TV series has been commissioned and which will be produced in South Africa - Come Dine With Me. ITV's format Come Dine With Me - an agreement between ITV Studios Global Entertainment, the international distribution arm of ITV Studios - will be the first local TV series production to be filmed in South Africa and for BBC Entertainment. I can reveal that Rapid Blue will be producing the local version of Come Dine With Me and pre-production will start soon. Come Dine With Me will start its broadcast on BBC Entertainment in October and will also be shown in the Middle East, Scandinavia and Poland. The series of 10 episodes will be shot in Cape Town, Johannesburg and Durban. The Come Dine With Me deal was brokered by Andre Renaud, the snior sales executive for Italy, Benelux and Africa for ITV Studios Global Entertainment and Melanie Owen for BBC Worldwide Channels. Come Dine With Me follows five total strangers competing for the title of the ultimate dinner party host. Each night for a week they will take it in turn to cook up their idea of the perfect evening. As well as cooking, the rival hosts snoop around each others' houses and go to bizarre lengths to win the competition. At the end of the evening, the host is judged by their guests and scored out of ten. ''This commission represents continued significant investment in our African channels, as we strive to build rich and captivating schedules that will delight audiences across the continent,'' says Jon Farrar, the vice president for programming for the EMEA region for BBC Worldwide Channels. BREAKING. Moss is back in Idols! Someone viewers have seen before returns to Idols on M-Net in this Sunday's episode. I'm not going to spoil it, but I can break the news that a certain Moss is set to return to Idols on M-Net. Tomorrow's (Sunday) episode of Idols on M-Net at 17:30 will see a certain someone that viewers have seen before return to the reality show for the Johannesburg auditions. Want more? ''He came back,'' a source connected to the show just told me. ''He's back'', ''very good'' and ''very weird'' are the words used in the same sentence by the person who just told me. For the rest viewers will have to watch for themselves. I'll weight in with all the details about this news after tomorrow night's episode. BREAKING. 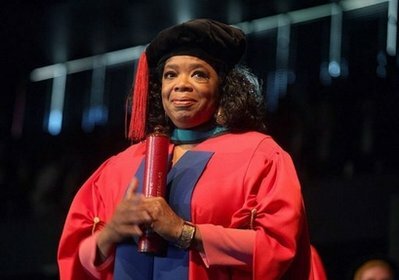 Oprah Winfrey receives honourary degree from University of the Free State; calls transformation there ''a miracle''. So said media icon Oprah Winfrey when the teary talk show host of The Oprah Winfrey Show (SABC3, weekdays, 17:30) received an honourary doctorate's degree in education from the University of the Free State (UFS) and spoke about the transformation taking place at the tersiary institution that's been plagued with racial scandals the past few years and known as a hotbed for troubled race relations [full disclosure: The place is my alma mater. I studied there for 6 years and attained my degrees there]. The event in the Callie Human Hall was attended by 4 500 students and citizens in Bloemfontein. Oprah Winfrey was praised for her contribution towards education in South Africa. It's her first honourary doctorate's degree awarded to her outside America. She praised the tertiary institution that was plagued by racial scandals for being serious about transformation. She left shortly afterwards. ''What has happened here at Free State in terms of racial reconciliation, of peace, of harmony, of one heart understanding and opening itself to another heart is nothing short of a miracle. It is truly what the new South Africa is all about,'' Oprah Winfrey said. 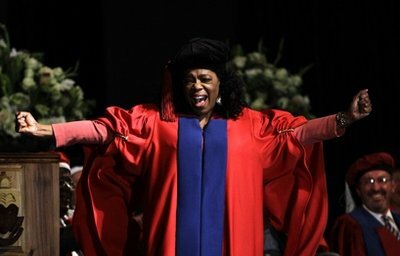 In bestowing her the honourary degree - the 152th awarded by the UFS - a passage drew cheers when read: that Winfrey has ''truly become a South African. She did so because she believed that there was important work to be done here, and she wanted to be part of what Nelson Mandela and others had begun." Previous recipients of honorary degrees from the UFS include anti-apartheid icons Nelson Mandela and Archbishop Desmond Tutu. Oprah Winfrey and the American first lady Michelle Obama who was also in South Africa this week, had dinner together on Tuesday in Johannesburg. BREAKING. The Emmy award winning Columbo star Peter Falk dies; will be remembered for his bumbling ways - and that raincoat. 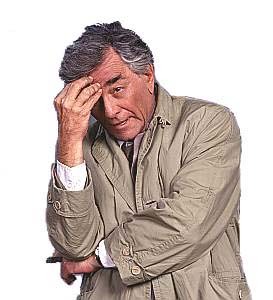 The Columbo star Peter Falk (83), beloved for his bumbling-yet-shrew TV detective character in a crumpled raincoat, has died. CBS News was first to report the news. Peter Falk, reportedly suffering from Alzheimers the past few years, died in his Beverly Hills home. His role of the bumbling, rumpled and seemingly absent-minded police detective of the same name earned him four Emmys. Columbo that started in 1971 in America also became a hit in South Africa on TV1. The show also spawned several made-for-TV movies that was also shown here. He continued working up until 2009. Filmmaker James Cameron and marine ecologist Enric Sala named explorers in residence of the National Geographic Society. The filmmaker and alternative energy proponent James Cameron and marine ecologist Enric Sala have been named as the National Geograhip Society's newest explorers in residence, the society announced. The National Geographic Society that runs TV channels like the National Geographic Channel (DStv 260) and Nat Geo Wild (DStv 261) in South Africa award this title to explorers and scientists who then help to develop programs in their respective areas of study which is then supported by the Society. James Cameron has notably organized a task force of deep-ocean experts to address offshore oil production and ocean engineering issues raised by the 2010 Gulf oil spill. He continues to work in the arena of alternative energy. James Cameron is currently leading a team that is building a unique manned submarine capable of diving to the ocean's greatest depths, says the National Geographic Society in a press release. Next year he plans to pilot the submarine to the ocean's deepest point in the Pacific's Mariana Trench, part of a series of dives to the world's deepest places: the Mariana, Kermadec and Tonga trenches. James Cameron and Enric Sala join 13 other National Geographic explorers in residence since the last new ones were announced in 2005: oceanographer Robert Ballard, anthropologist/ethnobotanist Wade Davis, geographer Jared Diamond, marine biologist Sylvia Earle, conservationist J. Michael Fay, archaeologist Zahi Hawass, filmmakers/conservationists Dereck and Beverly Joubert, paleontologists Meave and Louise Leakey, anthropologist Johan Reinhard, paleontologist Paul Sereno and geneticist Spencer Wells. CNBC Africa reaches 300 000 weekly viewers in South Africa; return of The Tonight Show with Jay Leno fuels viewership growth. The business channel CNBC Africa (DStv 410) has reached 300 000 weekly viewers according to the Telmar system that tracks South African television viewership, fueled in part by the return of The Tonight Show with Jay Leno. Passing 300 000 weekly viewers now makes CNBC Africa the most watched business TV channel in South Africa. Telmar information shows that CNBC Africa reached 300 000 unique weekly viewers for the week of 6 to 12 June. ''The return of The Tonight Show with Jay Leno is certainly one of the key factors to the spike [in viewership] figures this year,'' says Quinton Scholes, CNBC Africa's head of sales. Popular Indian TV channel Zee TV changes its look with a new aqua blue logo and a new slogan. Zee TV (DStv 452), Indian's biggest Hindi entertainment TV channel and the Indian TV channel with the highest viewership in South Africa changed its look with a new slogan, ''Umeed Se Saje Zindagi''. ALSO READ: Zee TV leads in South Africa as the most popular Indian TV channel according to viewership. "We believe the time is right to infuse renewed freshness into the brand and reflect an identity that truly articulates our spirit,'' says Punit Goenka, Zee TV managing director and CEO in a press release. Programming note: The eNews Channel might have live coverage late this afternoon of Michelle Obama's Cape Town visit. The eNews Channel (DStv 403) will continue to cover the American first lady Michelle Obama's South African visit today in Cape Town. The eNews Channel doesn't have specific times for possible live coverage, but says there will probably be live coverage of Michelle Obama from Cape Town on the channel later this afternoon. Regardless of whether it's live coverage or not, the eNews Channel will cover Michelle Obama's visit to the Cape Town Soccer stadium later this afternoon where she will meet Archbishop Desmond Tutu. The eNews Channel will cover her meeting with organizations dedicated to combating HIV/Aids in South Africa, including using soccer as a means to educate children about the virus. The eNews Channel has reporter Lester Kiewit covering the event late this afternoon. 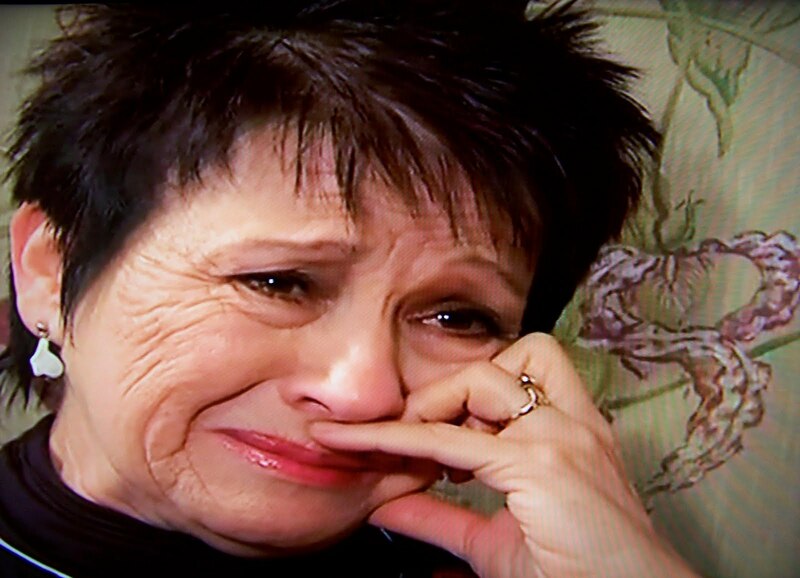 A very sad Magda van Biljon that millions of South African television viewers very fondly remember as ''tannie Magda'' from Wielie Walie on TV1, teared up on television this evening in a very emotional TV tribute to her late husband of 37 years, actor Zack du Plessis who passed away last week. Tears came when Magda van Biljon described what she and Zack du Plessis have meant to each other on the weekly Afrikaans magazine show Kwêla on kykNET (DStv 111) at 19:30. ''We never stood in each others' way or in each other's light,'' she said. Magda van Biljon, while fighting back the tears, said that her ''definition of grace is to find in once parcel your soulmate, your partner, your marriage partner, your live-in director, critic, your psychologist, and your lovey - and that you get to keep it all in one bundle in your arms.'' She said her children called their dad ''the big grey one'' and to her ''he's just my lovey''. 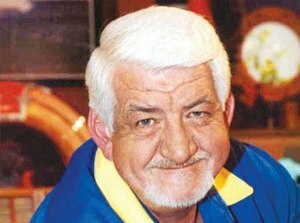 ALSO READ: Actor and comedian Zack du Plessis dies after lung complaint. SABC3 did a full technical dry run today to beam the latest episode of Entertainment Tonight to South Africa where the show starts this Friday. That satellite beaming business of TV shows remains tricky (and expensive) which is why I can reveal that SABC3 actually did a complete dry run today of getting the latest available episode of the daily entertainment magazine news show Entertainment Tonight from America as if it were to broadcast it today in South Africa. Entertainment Tonight with Nancy O'Dell and Mark Steines - ''the most watched entertainment news show in the world'' - will start on SABC3 this Friday at 19:30. SABC3 will test the waters and reaction to the show and possibly add more weekly episodes when the channel ''relaunches'' with an improved programming schedule and a new look in October. Insiders tell TV with Thinus that SABC3 did a complete dry run for Entertainment Tonight today to work out the practical aspects and technological logistics involved in getting the latest episode of the show (Tuesday's Entertainment Tonight in America) to South Africa today and ready for broadcast by 19:30. On Friday SABC3 will get Thursday's episode during the day and show that Friday evening. ALSO READ: Entertainment Tonight set to start in South Africa with the latest available episode shown on Fridays on SABC3. ALSO READ: Entertainment Tonight starting on SABC3 on Friday 24 June at 19:30. ALSO READ: Entertainment Tonight finally coming to South Africa and SABC3. BREAKING. The new 3Talk with Noeleen with a new set, new look and features, to be unveiled Monday 4 July in a special live episode. I can exclusive break the news that the long-gestated make-over and brand-new 3Talk with Noeleen on SABC3 will happen on Monday 4 July at 15:30 that will include a brand-new set, opening theme and theme song in a special live episode. ALSO READ: Plans for the addition of a live studio audience for the new 3Talk with Noeleen has been canned. I can reveal that on Monday 4 July Noeleen Maholwana-Sangqu will unveil her talk show's brand-new look that will include a brand-new studio in a special live broadcast of the weekday show that will happen at Urban Brew Studio in Johannesburg. ''Everybody is hard at work,'' an insider whispers to me. ''This [4 July] is going to be the biggest transformation of 3Talk since it started - while essentially remaining the same show. It will just be made better''. SABC3 ordered a drastic revamp of the look and feel of 3Talk with Noeleen as far back as the end of 2009 and wanted the make-over to start January 2010. Then the relaunch was pushed to April 2010 for 3Talk's 7th birthday, then May 2010, then July 2010 to co-incide with the Soccer World Cup. Then SABC3 didn't want the revamp to get lost in the attention going to viewers watching soccer and pushed it again to October 2010. Yet again the 3Talk with Noeleen make-over was postponed to the beginning of 2011, and then - finally - July 2011. Although the initial long-planned introduction of a daily live studio audience for 3Talk with Noeleen that was on the cards for a very long time, a source familiar with the long make-over saga told me that in the end - and because of the drawn-out revamp - it's not happening anymore. ''If it happened when it originally would have happened there wold have been shows before a live studio audience. The sort of town hall meeting kind. So much time passed that people changed their minds back,'' I'm told. BREAKING. M-Net to officially announce that it's secured the broadcast rights to Terra Nova; will show it from early 2012. Steven Spielberg. Hot new TV show. Science fiction. Big-budget family drama. I can exclusively break the news that the pay broadcaster has officially secured this epic, high-buzz, new Steven Spielberg show - chronicling a family who travels back in time to prehistoric Earth to start a new society amidst the dinosaurs. I can say Toldja! to what I told you right here in January and today it will be official. I'm told that M-Net is set to officially announce today (a Tyranno roar will be in order) that it has scooped Terra Nova - the most expensive TV show ever produced (it's filmed on location in Australia) and the biggest and most anticipated TV show for 2011. 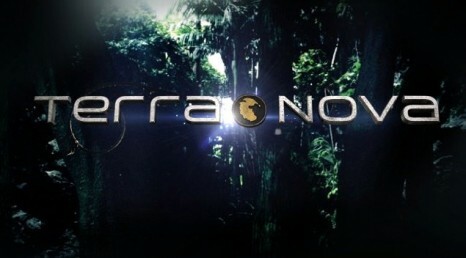 I can reveal that Terra Nova will start in early 2012 on M-Net, very close after the show's start in America. The first two episodes of Terra Nova was supposed to start in America in May (which means this Steven Spielberg drama would actually have been first, and have preceded the as-wonderful Falling Skies). The producers and the Fox network in America however pushed the starting date back to somewhere around the end of the year, saying the special effects of Terra Nova needs more time. ALSO READ: Some early behind the scenes set secrets of Terra Nova. ALSO READ: Brand new images of the year's biggest new upcoming TV show ... Terra Nova. ALSO READ: In August 2010 I wondered right here what South African broadcaster - M-Net? - would snag the rights to Terra Nova?